The saying goes "Revenge is a dish best served cold." 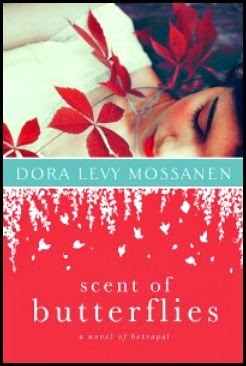 Or, as Soraya in Scent of Butterflies: A Novel of Betrayal by Dora Levy Mossanen, says, "I do not know what the stars have in store for me. What I know is that revenge must be extracted with calculated patience and complete emotional detachment." Today's TLC Book Tour stop takes us from Tehran to Beverly Hills, for a dark, rich, and exotic story of a woman pushed to the edge. 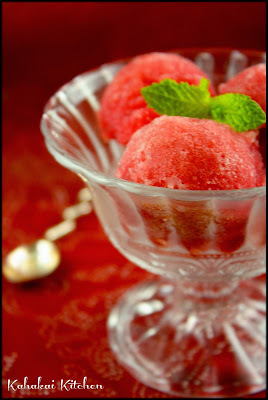 Accompanying my review is a recipe for a dish inspired by the book, a dark, rich, and exotic Blood Orange & Rosewater Sorbet--a dish most definitely best served cold. Betrayal, forgiveness, identity and obsession churn against the tumultuous landscape of the Islamic revolution and seemingly perfect gardens of southern California in this compelling novel from bestselling author Dora Levy Mossanen. Amidst a shattering betrayal and a country in turmoil, Soraya flees Iran to make a new life for herself in Los Angeles. The cruel and intimate blow her husband has dealt her awakens an obsessive streak that explodes in the heated world of Southern California, as Soraya plots her revenge against the other woman, her best friend, Butterfly. What she discovers proves far more devastating than anything she had ever imagined, unleashing a whirlwind of events that leave the reader breathless. A novel singed by the flavors of Tehran, imbued with the Iranian roots of Persepolis and the culture clash of Rooftops of Tehran, this is a striking, nuanced story of a woman caught between two worlds, from the bestselling author of Harem, Courtesan, and The Last Romanov. So, did I mention that Scent of Butterflies is a dark book? Dark and even quite morbid at times. Soraya's anger and grief are a living, breathing, pulsating wound. Her feelings are understandable--not only did her husband cheat on her, he did so with her best friend from childhood. She is bitterly betrayed by two of the most important people in her life and she takes it badly, very badly. She tells her husband she is going on a business trip for her photography (she needs his signed permission to leave Iran), then heads to Los Angeles where she uses money given to her by her grandmother to set up a new life for herself and begins plot her intricate web of revenge. So as not to spoil things, I don't want to get into the particulars of what she plans for her husband, or her friend Parvaneh ('Butterfly'), but it is (way) over the top. At times her actions seem unrealistic but the more that unfolds about Soraya's personality and her obsessive nature, her irrationality makes some sense. Soraya is a tough character--I had great sympathy for her plight but she is not at all likable, full of arrogance and entitlement. Still, she is fascinating, and as many times as I stopped to put the book down and go read something 'happy'--I found myself compelled to read on. There was a twist that I saw coming before it was revealed and the end was not completely satisfying for me, but it was certainly a wild journey getting there. Author Mossanen created a lush and vividly drawn world for Soraya, her descriptions made the sights, sounds and smells come alive (not always a good thing in a few more morbid parts). I was particularly drawn to the descriptions of Soraya's life in Tehran before and after the Islamic Revolution in 1979 and the fall of the Shah of Iran. I never considered what life would be like for a Jewish-Iranian woman in a Muslim world. Also very interesting to me was the corpse flower in the center of the mansion that Soraya moves into that becomes a focus in her revenge plots. The Amorphophallus titanum, or corpse flower, blooms infrequently (anywhere from 3 to even 7 or more years) and gets its name because it emits a strong and distinct odor described as like a decomposing animal, which is meant to attract beetles and flies for pollination. One of our local botanical gardens had one that bloomed a couple of years ago and I meant to go see it but never made it there. After reading more about this flower in the book, you can bet I will go and see it the next time that it blooms. I like novels that expose me to different cultures or teach me interesting things and this book did both. 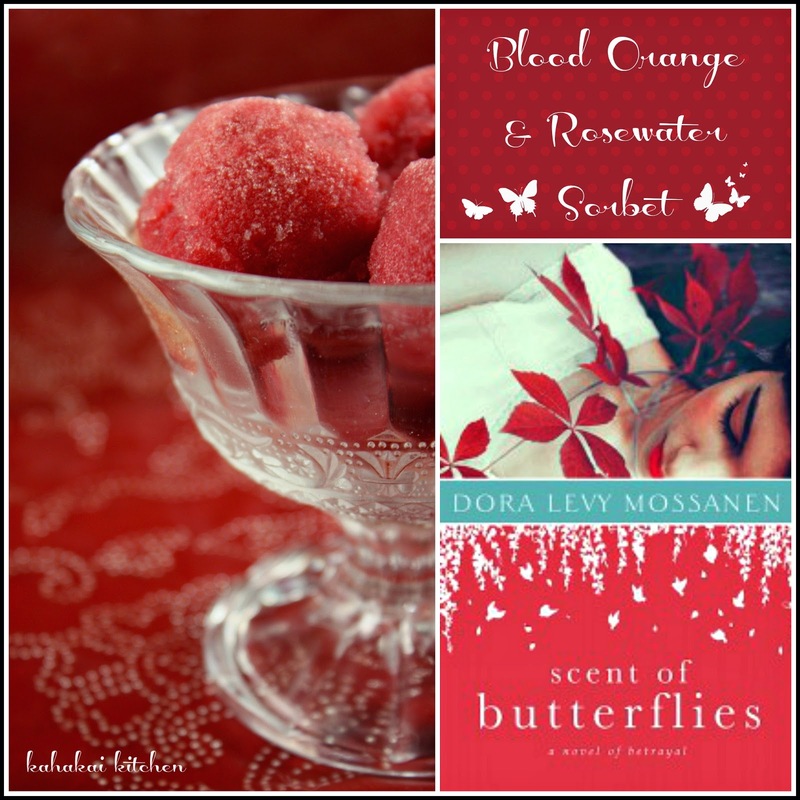 I am not entirely sure how to categorize Scent of Butterflies--I suppose I would say that it is women's fiction, part historical fiction, with a strong dose of psychological thriller thrown in. If you don't mind a story on the darker side of love, friendship and human emotion, you will likely find it fascinating. 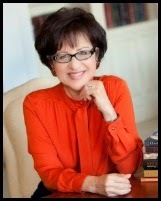 Author Notes: Dora Levy Mossanen was born in Israel and moved to Iran when she was nine. At the onset of the Islamic revolution, she and her family moved to the United States. She has a bachelor’s degree in English Literature from the University of California-Los Angeles and a master’s in Professional Writing from the University of Southern California. Dora is the bestselling author of the acclaimed novels Harem, Courtesan, and The Last Romanov. She is a frequent contributor to numerous media outlets including the Huffington Post and the Jewish Journal. She has been featured on KCRW, The Politics of Culture, Voice of Russia, Radio Iran and numerous other radio and television programs. She is the recipient of the prestigious San Diego Editors’ choice award and was accepted as contributor to the Bread Loaf Writers’ Conference. Dora Levy Mossanen’s novels have been translated into numerous languages world-wide. Although frequently mentioned, food isn't a huge part of the book. Soraya is so focused on her revenge plotting, so far away from her family and friends, she lives on cereal and milk, cottage cheese and fruit, her stomach unable to take more elaborate foods. Much of the food mentioned is from Soraya's memories of Iran, like Noruz--the Iranian New Year--when her family's house was filled with dishes like flat breads, rosewater pastries, mint and coriander-spiced whitefish, and lamb stuffed with fruit and nuts and aromatic rice. The housekeeper and chauffeur Soraya hires in Los Angeles try and set the table with the traditional seven dishes for her Noruz, laying out sweet wheat pudding, hyacinth, garlic, dried Lotus fruit, vinegar, red apple, and sprouts but in a fit of pique, she yanks the tablecloth off and destroys it. Finally there are the dishes Soraya's mother made kebabs and lamb shank and herb stew, and mentions of exotic pastries and cookies, and many different kinds of tea. I decided to make a rosewater sorbet for my dish representing Scent of Butterflies because Butterfly is given a sorbet of rosewater with diced apples when she makes a fake suicide attempt, and then when the truth comes tumbling out at the end, Soraya wants to give her husband Aziz a glass of rosewater sorbet and longs to bring a spark of life back to his eyes. With Soyra's potentially-murderous revenge plans and coming across a bin of on-sale blood oranges in the grocery store, I decided that a dark crimson Blood Orange & Rosewater Sorbet would be very fitting. I have an under-used bottle of orange blossom water in my pantry next to the rosewater and I wanted to incorporate it into the mix to add a little complexity. The 'art' of fruit sorbets is finding the right mix of fruit and sugar--not too sweet and a bit bright and tangy, and the only way to get that is by tasting. How much sugar and lemon juice you use is dependent on the sweetness level of your fruit and your personal taste. You also want to be careful with your flower essences--using enough so that the flavor comes through but not so much that you feel like you are licking the inside of a perfume bottle. Start with smaller amounts, taste again after the liquid cools and sets, and add more if needed. The following amounts worked well for me as I don't like things too sweet. Place the sugar, rosewater and orange blossom water into a small saucepan over medium heat. Stir until sugar is dissolved and let simmer for about 10 minutes, until liquid is reduced and a thin syrup has formed. Remove from heat and allow to cool completely. Add the cooled syrup to the blood orange juice and squeeze in lemon juice to taste. If you want a smoother. 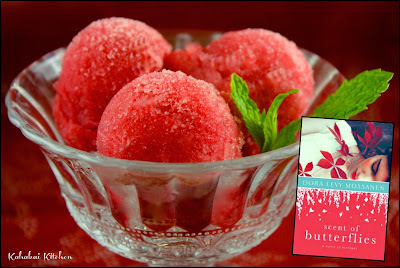 less-icy texture to your sorbet, add 1 to 2 tablespoons vodka or a (complementary) flavored liqueur to the juice mixture. Chill mixture in refrigerator--at least a few hours or overnight. Place in ice cream machine and process according to machine instructions. Let firm up for an hour or so in the freezer and serve. The vodka or other alcohol is optional--it does keep things less icy solid after freezing but if you don't use it and have leftover sorbet, let it thaw for 20-30 minutes before serving. Notes/Results: Gorgeous vibrant color, refreshing, exotic flavor. 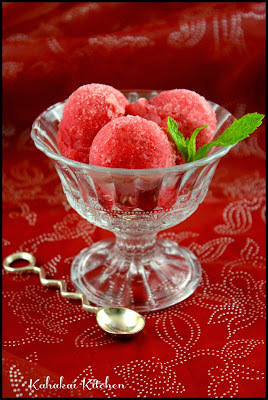 I love this sorbet. I was afraid I might have added too much rosewater and orange blossom water but it turned out to be a good amount--the flavors were there in the background but still allowed the blood orange to come through. 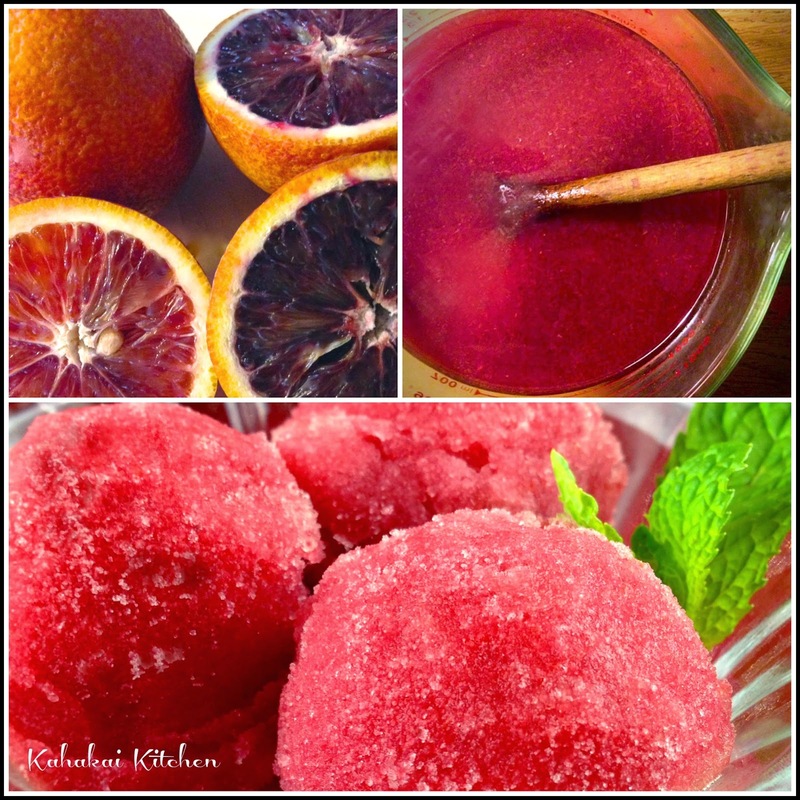 A cool and sumptuous treat and a great way to highlight the beauty of blood oranges. I will make this again. Note: A review copy of "Scent of Butterflies" was provided to me by the publisher and TLC Book Tours in return for a fair and honest review. I was not compensated for this review and as always my thoughts and opinions are my own. The sorbet seems so light and fresh - a great counter to the darkness in the book.